Spa - MidAmerica Center for Dental Wellness & Aesthetics, P.C. We Are Southern Illinois' Premiere Dental Spa! Check out our Summer Spa Specials! 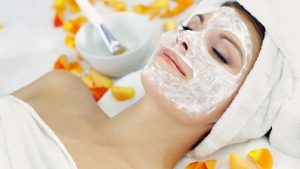 This express facial is only $45 and includes a microdermabrasion treatment. Taking only 30 minutes, this service is easy to fit into you busy summer schedule! You will also receive 10% off an Obagi takehome skin care line customized to you! We all dream of being able to take time off work to go to the spa for some well-deserved self-pampering, so why not treat yourself to a spa service the same day you come in for your regular dental check-up or treatment? Now you can not only leave the dentist with a great smile, but also have fresh, glowing skin! Research has shown that relaxing spa treatments before dental work can significantly reduce anxiety and increase comfort levels. Schedule a Spa Service with our Aesthetician before or after your next dental appointment and see just how relaxing going to the dentist can be! Our spa features an experienced licensed aesthetician who currently treats patients on Mondays and Fridays. All Spa patients are treated in a newly renovated and private spa room, complete with a massaging chair, ambient lighting, aroma therapy, and relaxing music with Bose speakers. 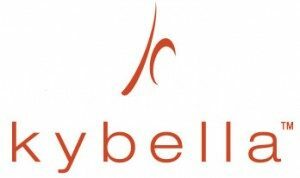 Our Spa has partnered with Dr. Zein Obagi of Obagi Medical based out of Beverly Hills, California. 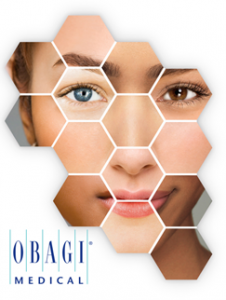 We offer a full line of Obagi in-office and at-home treatments and product lines. Obagi Skin Care is the #1 Physician dispensed skin care line in the U.S. Schedule a consultation with our aesthetician to see how these products can change your damaged skin, giving you the confidence to smile you've always wanted. We offer gift certificates for our Spa and Smile Design services. Give your loved one the opportunity to relax, renew, and rejuvenate with a thoughtful gift that could be life-changing: a new smile!